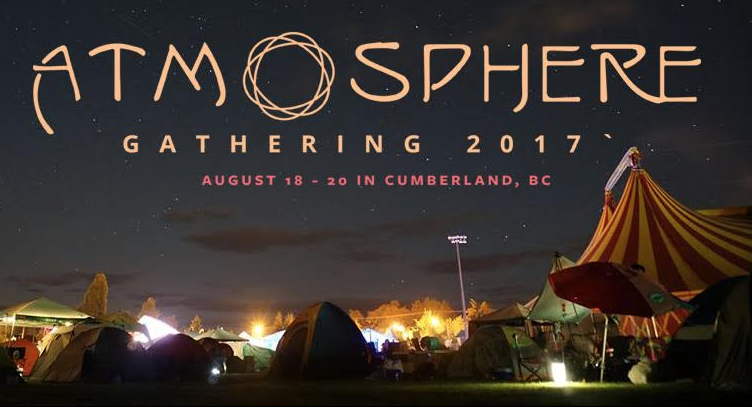 What are you most excited about for Atmosphere 2017? Your team has put together one hell of a line-up this year! Who are you are some of your personal must see’s thus far? Honestly, I could go on about everyone, the line-up is stacked with amazing. For the sake of the general attention span I’ll keep to 3. Certainly Half Moon Run, this year we are privileged to be their ONLY western play this summer as they are in a creative phase right now. For many of the band, this is a homecoming. Their music is so superb and their international recognition has brought them all around the world. They sell out ALL their shows. On a personal level, their music has a real emotional effect, you can bet I will be on the dance floor for their entire set. CloZee all-star woman powerhouse that we can’t wait to see shake Cumberlands dance floor. Shes going to bring the heat to the BIgTop and I wouldn’t miss it if I was you. With her is dancer Haza, creative dancer, choreographer and teacher from France. Got a feeling these two women are going to really bring things together this year. Finally, Frivolous, I had the pleasure of seeing him late one night at Diversity Festival on Texada Island, he had a few very dedicated folks on the dance floor and gave it his all playing this unique brand of 4/4 that was just so infectious. He will be coming straight off a massive European tour with Atmosphere as the last stop! What does Atmosphere Gathering mean to you? Atmosphere means many things on different levels to me. On one hand its a collaboration and accumulation of a life time of work, or a massive art project where each individuals personal experience is the canvas. On the other hand it’s the great challenge of piecing together so many moving parts. Something that takes careful planning all year round and then executed over a few short days. Guess I love to see a plan come together and find calm in the chaos of festival planning. More then anything else its a larger community’s expression of who we are as a people and what we value. Its a small example of what we can accomplish when working together. If you could describe the festival as a cocktail what kind of cocktail would it be and why?! A crazy mix of sangria enjoyed on a warm summers afternoon with a shot of tequila in the evening to get you pumped and ready for when the serious party starts.